Seventeen Cosmetics Archives - Do You Speak Gossip?Do You Speak Gossip? I received this cream at the end of July, and I started using it almost as soon as I got it. I rarely find skincare products that I actually love, because I have such a sensitive skin, that most creams don’t work well on me! Well, I couldn’t believe it when I started trying this cream! At first, I took it with me on a trip to Athens, and I saw amazing results. Still couldn’t believe it, and thought it was the climate of Athens (which is way better than Thessaloniki’s), or the hot days, that made my skin more normal/oily than dry/dehydrated. I continued using it after we got back, and still got the same results. Even for my super sensitive skin, it did wonders. 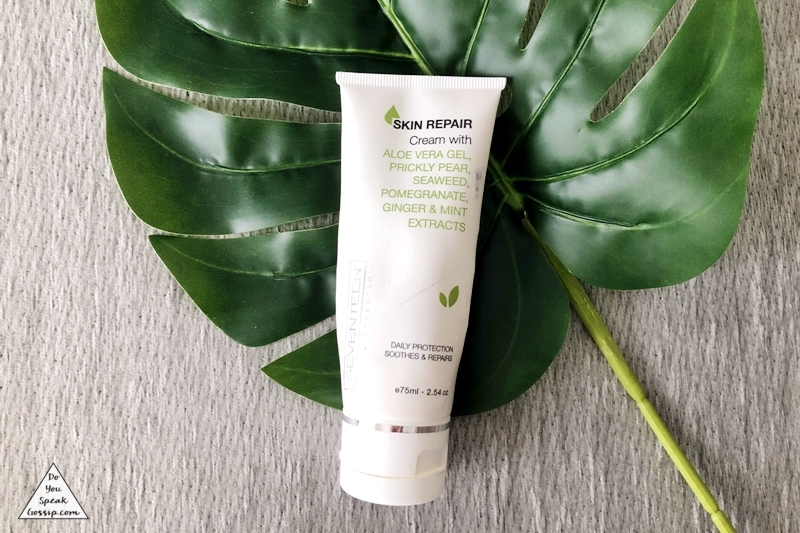 It has aloe vera gel, prickly pear, seaweed, pomegranate, and ginger & mint extracts. It’s very lightweight, gets absorbed almost instantly, leaves your skin feeling hydrated, and not at all oily or heavy, and after a few uses you’ll notice a huge difference on your skin. It leaves the skin soft, hydrated, and smooth! I absolutely love it! I’m definitely repurchasing it again in the future. And I recommend it 100%.